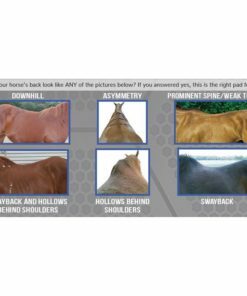 Whether you are on the ranch or out riding the trail, this 1” wool felt pad is tough enough for heavy use while it solves common conformation issues. 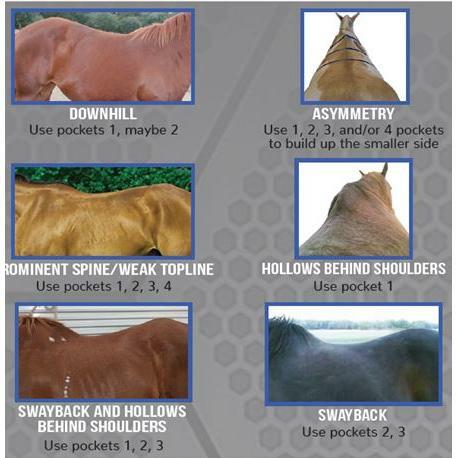 Four pockets allow options to correct asymmetry and common conformation issues using the three included 1/2” felt shims to aid in the even distribution of the rider’s weight for a more comfortable saddle fit. 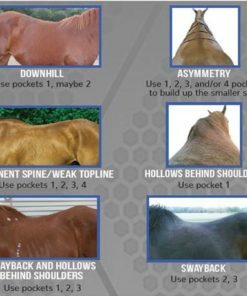 Good saddle fit is indicated by an even sweat pattern and a saddle that sits level. 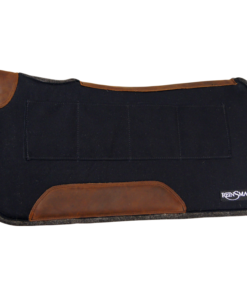 The contour shape conforms to the horse’s back and aded wither relief provides all day comfort. 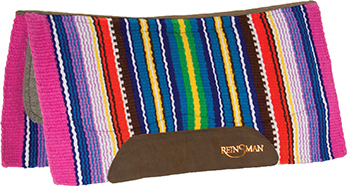 Reinsman uses heavy oiled grain out leathers which results in more resistance to cracking and drying out. 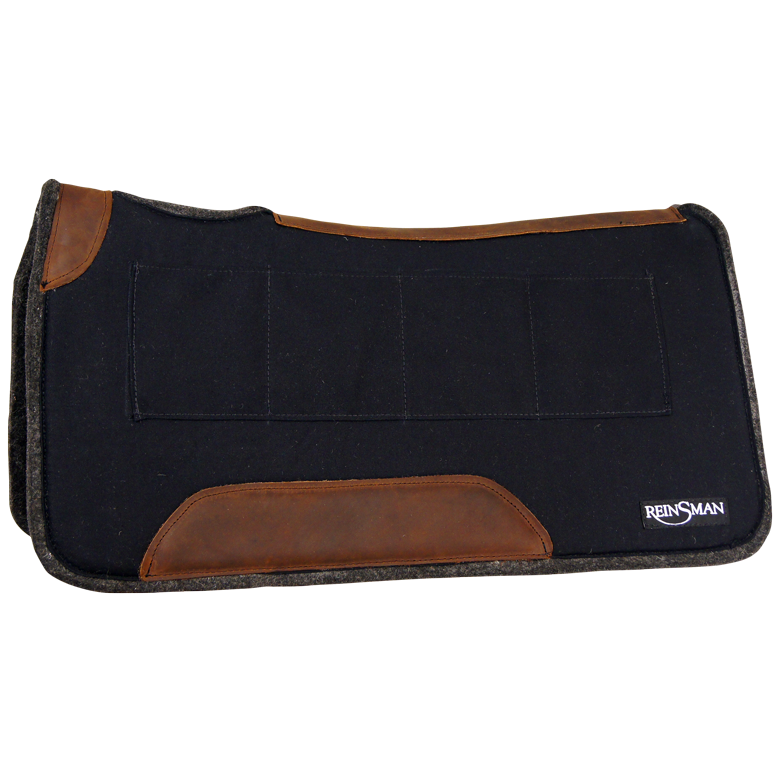 The pad top is Duck canvas. Canvas has been the gold standard for durability in fabrics for centuries and comes in various forms and weights. Reinsman has chosen one of the heavier thickness of 10oz and the tightest weave of Duck for the canvas. 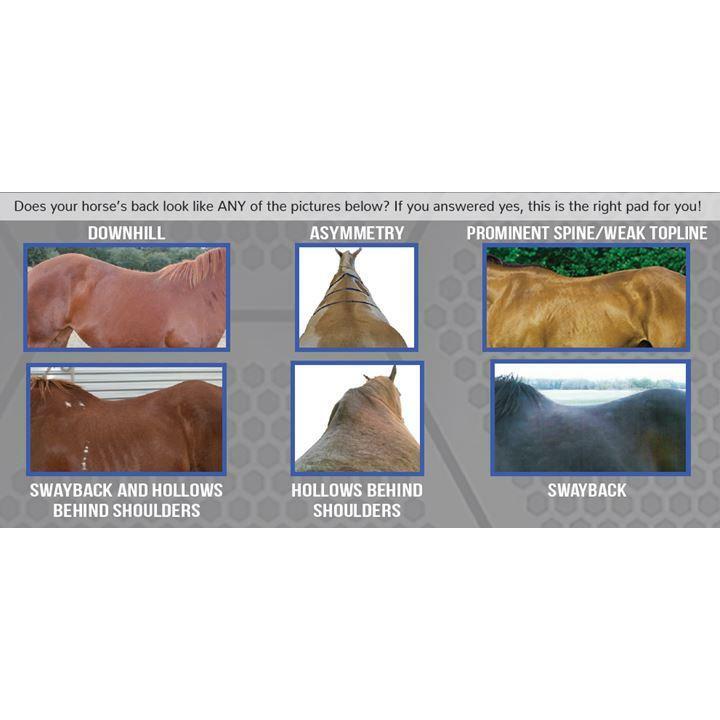 They believe the higher quality, tighter weave, combined with the heavier weight, provides the best balance between performance and durability.